Last weekend I had the privilege of speaking to the Northwest Association of Mothers of Twins Clubs (NWAMOTC) in Vancouver, Washington. NWAMOTC is a network of member clubs throughout the Pacific Northwest, including Alaska, Idaho, Oregon, Washington, and the province of British Columbia, Canada. The convention attendees spent a lovely weekend away from their families, enjoying one another’s company and the activities planned by the hosts of the convention, the Columbia Mothers of Twins Club. I can only surmise that this nonsensical remark repeatedly occurs because nontwins are searching for their double. 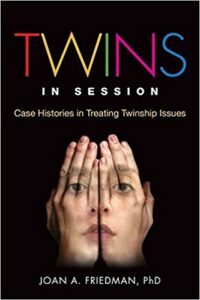 Elizabeth Stewart wrote a book titled Exploring Twins: Towards a Social Analysis of Twinship (Palgrave Macmillan, 2003). 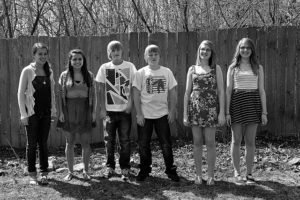 As a mother of identical twin boys and a sociologist, she was intrigued by the results of a study she conducted. She asked a group of twin parents what was the first question they were asked once people knew they had twins, and 84 out of 106 respondents said people inquired if the twins were identical. In contemporary, postmodern societies, it is certainly the case that enquiries about twins almost invariably take the form “Are they identical?” with the accompanying unspoken assumption, hope, or even “knowledge” that the answer is “yes” (p.170). Searching for your doppelganger is also a familiar theme in movies and literature. The word doppelganger is German and literally means double walker—as in a ghost or shadow of yourself. An easy way to remember it is that doppelganger sounds like double, as in, “That movie star is my double. We look so much alike.” These days, most people don’t refer to the ghost meaning when talking about doppelgangers; they just mean someone who looks a lot like you or could be your twin. What is even spookier is the Internet site called Twin Strangers. You can send a photo and other identifying information, and they will attempt to find your double. I believe that, for most of us who are twins, one double is quite enough!